Hi everyone! 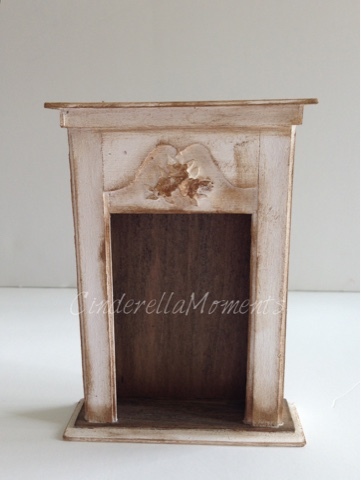 I have been working on a new project dollhouse called Grey Manor. This is a french style house from scratch. I made it 14" across the front facade x 12 1/2" deep and 19" tall. 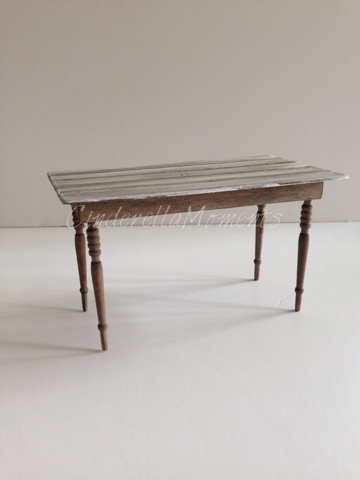 They work great as table legs and you can also cut the smaller for upholstered chairs. 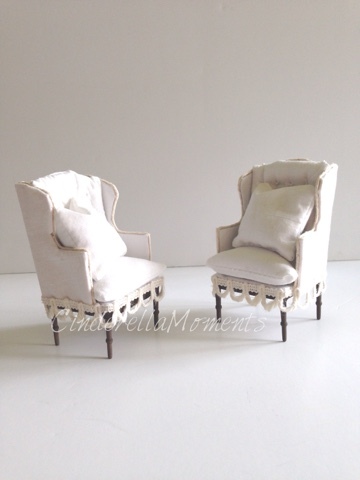 Which is what I did for my two white chairs. I made the mantel from birch wood. And the long flower box on the table was an idea I got from the dining room at Laurieannas.com It's a gorgeous website with lots of inspiration for your dollhouse. 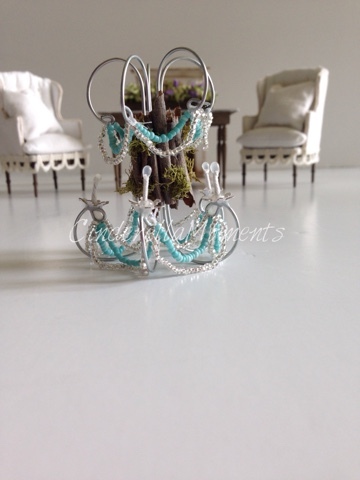 The chandelier is also done. I put wood bark and moss for an earthy look. 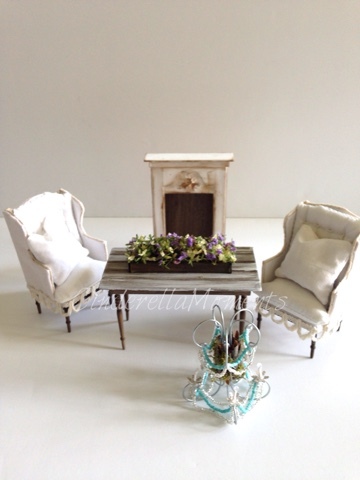 Next, I'll share my tutorial for a dollhouse bed. You know the cozy, messy kind you'd love to jump into! Till then have a fantastic time with your minis! There you are. I have been wondering if you were under water along with much of Texas. My friend in The Woodlands was flooded last week, including her office at Sam Houston University. I have a nephew in Spring and I think they are dry, but the flooding is awful. 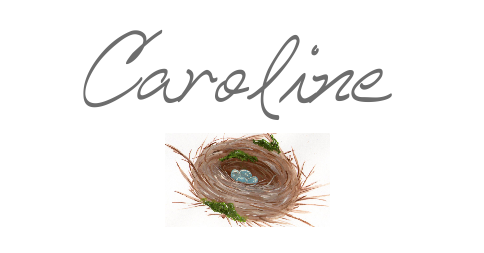 I see growth in your work, Caroline. These chairs look more refined, but then all of your chairs are charming. The individual lights in the chandelier are also interesting. I have the same chair as the PDF that you share; it is a kit that I am working on. I am trying to decide not the fabric that I want to use. Glad to see you are well and busy. Grey Manner will be awesome. Después de ver esos fantásticos muebles que has hecho,imagino Grey Cotagge y no puedo esperar a verla!!!! Me encantará conocer tu tutorial de la cama!!! Beautiful furniture and accessories. Hand made is a lot of work and a lot of planning but to end up with unique pieces makes it so worthwhile, especially when they are so well made. Love the theme and looking forward to the next instalment. Thanks for sharing so many tips too. I love that, when creative people are generous with their ideas. Lovely work Caroline. The chairs you made are amazing!!! Do you order from Hobby Lobby online? I know ours doesn't really have any miniature stuff, just a very small section:( I'm thinking their website probably offers more. 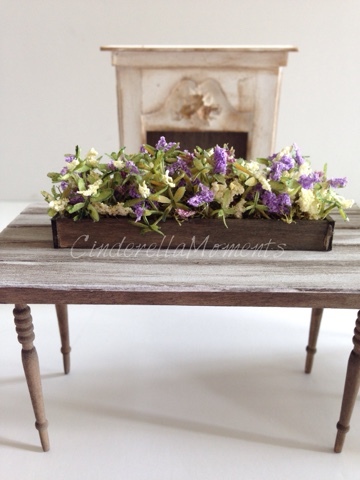 Love the fireplace and table and the flower box is amazing! I can't wait to see more!!! You always inspire me so much Caroline:) We're going to NC in 2 weeks to visit family but when we get back, I'm buying the Greenleaf lighthouse...can't wait!!! Hugs! Estoy deseando ver acabado tu nuevo proyecto. Lo que has hecho hasta ahora está genial, como siempre. Es un gran proyecto. Me encanta que hagas todo desde cero y además nos enseñes las fuentes de las que surgen las ideas. Los sillones, la mesa y a chimenea te han quedado de lujo. Thank you so much for the wind chair info, I was just going to look on eBay for an old kit so I would have a pattern. I love the houses and furniture you make :) I look forward to seeing Grey Cottage. Georgeus! I love your works. The chairs are amazing, but I really like everything. I'm curious to see the house. Everything is perfect and I like the long flower box and the colours of the flowers very much. I can't wait to see what the house will look like, especially another French style one. This looks to be another beautiful project! Aren't they all :) The chairs and lamp are beautiful, and the table with flowers is charming. Thank you for all your tips and ideas and I'm looking forward to seeing more instalments on Grey Manor. Your furniture is perfect! I can't wait to read your tutorial next time and to see the rest of the house. Thanks for the website, I will be sure to check it out! Looking forward to seeing the house! Thanks for the tip of using the stair spindles as chair legs, would never have thought of it. wat ziet het er altijd mooi uit.